"Tsarism" redirects here. For the news website, see Tsarizm. Tsarist autocracy[a] (Russian: царское самодержавие, transcr. tsarskoye samoderzhaviye) is a form of autocracy (later absolute monarchy) specific to the Grand Duchy of Moscow, which later became Tsardom of Russia and the Russian Empire. [b] In it, all power and wealth is controlled (and distributed) by the Tsar. 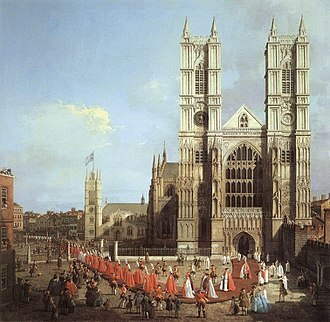 They had more power than constitutional monarchs, who are usually vested by law and counterbalanced by a legislative authority; they even had more authority on religious issues compared to Western monarchs. In Russia, it originated during the time of Ivan III (1440−1505), and was abolished after the Russian Revolution of 1917. The Tatar Yoke and the Mongol ideas and administrative system are credited with bringing the culture exhibiting some characteristics of an oriental despotism to Russia. [b] Absolutism in Russia gradually developed during the 17th century and 18th centuries, replacing the despotism of the Grand Duchy of Moscow. Ivan III built upon Byzantine traditions and laid foundations for the tsarist autocracy, a system that with some variations would govern Russia for centuries. After a period of disorder known as a Time of Troubles, the first monarch of the Romanov dynasty, Michael of Russia, was elected to the throne by a Zemsky Sobor (or "assembly of the land"). During Michael's reign, when the Romanov dynasty was still weak, such assemblies were summoned annually. However, the Romanov dynasty consolidated absolute power in Russia during the reign of Peter the Great, who reduced the power of the nobility and strengthened the central power of the tsar, establishing a bureaucratic civil service based on the Table of Ranks but theoretically open to all classes of the society, in place of the nobility-only mestnichestvo which Feodor III had abolished in 1682 at the request of the highest boyars. Peter I also strengthened the state's control over the church (the Orthodox Church). 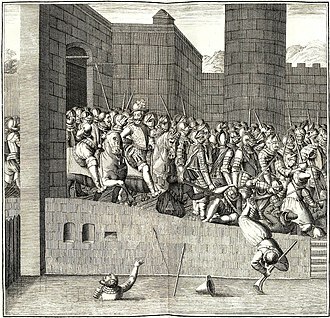 Peter's reform caused a series of palace coups seeking to restore the power of the nobility. 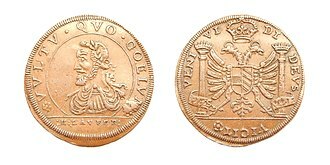 To end them, Catherine the Great, whose reign is often regarded as the high point of absolutism in Russia, in 1785 issued the Charter to the Nobility, legally affirming the rights and privileges they had acquired in preceding years, and the Charter of the Towns, establishing municipal self-government. This placated the powerful members of society; however, in fact, the real power rested with the state's bureaucracy. This was built on by later Tsars. Alexander I established the State council as advisory legislative body. Although Alexander II established a system of elected local self-government (Zemstvo) and an independent judicial system, Russia did not have a national-level representative assembly (Duma) or a constitution until the 1905 Revolution. The system was abolished after the Russian Revolution of 1917. The person of the tsar himself, a sovereign with absolute authority, stood at the center of the tsarist autocracy. The rights of state power in their entire extent belonged to the tsar. The autocrat further entrusted power to persons and institutions, acting in his name, by his orders, and within the limits laid down for them by law. The purpose of the system was to supposedly benefit the entire country of Russia. A metaphor existed likening the tsar to a father, and all of the subjects of the Empire, to his children; this metaphor even appeared in Orthodox primers. This metaphor is present in the common Russian expression "царь-батюшка", literally "tsar-dear father". Furthermore, unlike the theoretical separation of church and state in West European monarchies, the Russian Empire combined monarchy with the supreme authority on religious issues (see Church reform of Peter I and caesaropapism for details). Another key feature related to patrimonialism. In Russia the tsar owned a much higher proportion of the state (lands, enterprises, etc.) than did Western monarchs. The tsarist autocracy had many supporters within Russia. Major Russian advocates and theorists of the autocracy included writer Fyodor Dostoyevsky, Mikhail Katkov, Konstantin Aksakov, Nikolay Karamzin, Konstantin Pobedonostsev and Pyotr Semyonov. They all argued that a strong and prosperous Russia needed a strong tsar, and that philosophies of republicanism and liberal democracy did not fit Russia. Some historians see the traditions of tsarist autocracy as partially responsible for laying groundworks for the totalitarianism in the Soviet Union. They see the traditions of autocracy and patrimonialism as dominating Russia's political culture for centuries; for example, Stephen White is described as "the most consistent" defender of the position that the uniqueness of Russian political heritage is inseparable from its ethnic identity. In White's opinion, autocracy is the defining factor in the history of Russian politics. He wrote that Russian political culture is "rooted in the historical experience of centuries of absolutism." Those views had been challenged by other historians, for example, Nicolai N. Petro and Martin Malia (as cited by Hoffmann). Richard Pipes is another influential historian among non-specialists who holds the position about the distinctness of Russian history and political system, describing the absolutism of the Muscovite political system as "patrimonial", and saw the stability of the Soviet Union in the fact that Russians accepted the legitimacy of this patrimonial organization. Some historians have pointed to a racial element in the concept. For example, American Cold War analysts, including George Kennan, linked the Soviet government's autocratic rule to Tatar influences during its history, and biographies of Russian leaders often stressed their possible Asiatic ancestries. They maintained that Asiatic influences rendered the Russians, along with the Chinese, untrustworthy. Historians of different backgrounds have criticised the concept of tsarist autocracy in its various forms. Their complaints range from the different names of the model being too vague, to its chronological implications (it is impossible to consider Russia in different centuries the same) as well as to its content (the question how Russian or ‘tsarist’ autocracy differs from ‘regular’ autocracy or from European absolutism for that matter). Regarding the substance of the autocracy model, its equation with despotism, its supposed origins in Mongol rule, as well as its supposed rise in medieval Muscovy have been heavily debated. 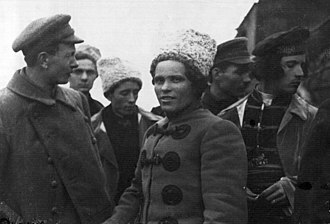 For one, Marxist Soviet scholars were concerned with prerevolutionary absolutism and identified the boyar elites and the bureaucracy as its pillars. For example, Sergey M. Troitskii claimed that the Russian monarchs held sway of the nobility which was reduced to state service. According to Troitskii, absolutism in Russia was the same as everywhere else. This led to a difficult position within Marxism, because absolutism revolves around institutions and laws, which were fundamentally less important than the socioeconomic base of society. This raises the question how absolutism could be the same when socioeconomic circumstances in Russia were not the same as elsewhere. In order to reconcile the non-socioeconomic nature of absolutism with Marxist theory, Soviet scholar Alexander N. Chistozvonov proposed to group the Russian monarchy with the Prussian and Austrian ones, forming a distinct mix of Western European absolutism and ‘oriental despotism’. In the eyes of Chistozvonov, whatever absolutist or autocratic elements were indeed present in Russia, they were not unique and do not warrant Russia’s exclusive categorization. Similarly struggling with Marxist conceptions, Soviet historians Petr A. Zaionchkovskii and his student Larisa G. Zakharova focused on the importance of political convictions of Russian officials and bureaucrats to explain nineteenth-century political decision-making. By showing that the state was not a unified and powerful whole (commanded by the economically dominant class), they likewise tackled common (Marxist) conceptions of Russian autocracy. While like Troitskii, they studied the nobility and bureaucracy (in a later period), Zaionchkovskii and Zakharova painted a different picture of the tsar’s position. Coinciding with Western scholars like Robert Crummey, they lay bare the interdependence of monarch and nobility in the practice of rule. Outside Russia and the Soviet Union, Hans-Joachim Torke among others tried to counter the notion of an all-powerful autocratic state by pointing at the mutual dependency of service elites and the state (coining the term ‘state-conditioned society’). Torke acknowledges that the tsars were not reined in by any form of constitution, but he emphasizes for example the limitations of Christian morality and court customs. The so-called ‘American school’ of the 1980s and 1990s argued for the important role of elite networks and their power at court. Edward Keenan went even further in his well-known piece on Muscovite political culture, claiming that the tsar was merely a puppet in the hands of boyars who wielded the actual power behind the scenes. For others, like David Ransel and Paul Bushkovitch, it goes too far to portray relations between tsar and nobility like Keenan does, because it does not appreciate their complexity. Bushkovitch argues that the theoretic lack of limitations on the power of the tsar is irrelevant and instead claims that the ‘crucial question’ is where real power lay. In his view, this can only be shown by the political narrative of events. Bushkovitch placed the balance of power between the tsar, the individual boyars and the tsar’s favourites at the centre of political decision-making. In so doing, Bushkovitch found that on the one hand, the tsar’s relative power fluctuated per monarch, and on the other hand, that the nobility was all but unified; the balance of power changed with each tsar as well as the rise of boyars and in the case of Peter I even shifted multiple times. Charles J. Halperin cautioned against views that too easily claim tsar and state dominance in politics or society. While acknowledging the institutional differences between Muscovy and Western European monarchies, Halperin nevertheless stresses that these differences should not be considered absolute. In his view, the practice of rule, a matter of human interactions, is more important than theory and abstractions. a ^ As used in those publications. b ^ The existing literature pairs the words Russian, tsarist, Muscovite and imperial with despotism, absolutism and autocracy in all possible combinations, rarely giving clear definitions. Tsarist can be indeed applicable to the entire period (see also historical usage of the term "tsar"), but Muscovite is applicable only to the period of the Grand Duchy of Moscow, which was replaced by tsardom of Russia, a period for which the words imperial and Russian are applicable. Further, we can look at Muscovite despotism as a precursor for the tsarist absolutism, however, the very use of the word despotism has problems (see following note). Finally, care should be taken with the term autocracy: today, autocrat is usually seen as synonymous with despot, tyrant and/or dictator, though each of these terms originally had a separate and distinct meaning. Overall, out of the available terms, "tsarist autocracy" is the one which seems most correct for the entire period discussed, but it is worth keeping in mind that there are no ideal types, and that the Russian political system evolved through time. c ^ As used in those publications. d ^ As used in those publications. e ^ As used in those publications. f ^ As used in those publications. g ^ As used in those publications. h ^ As used in those publications. i ^ As used in those publications. j ^ As used in those publications. k ^ The terms oriental despotism and its development, the Muscovite or Russian despotism, have been criticized as misleading, since Muscovy, and Russia, never had characteristics of pure despotism, such as the ruler being identified with a god). l ^ As used in those publications. m ^ As used in those publications. n ^ As used in those publications. ^ Michael Adas (2006). Dominance by design: technological imperatives and America's civilizing mission. Harvard University Press. pp. 230–231. ISBN 0-674-01867-2. ^ David C. Engerman (2003). Modernization from the other shore. Harvard University Press. p. 260. ISBN 0-674-01151-1. ^ C.J. Halperin, ‘Muscovy as a Hypertrophic State: A Critique’, Kritika 3 3 (2002) 501. ^ D. Ostrowski, Muscovy and the Mongols: Cross-Cultural Influence on the Steppe Frontier, 1304-1589 (Cambridge 1998) 91-95; M. Poe, ‘The Consequences of the Military Revolution in Muscovy: A Comparative Perspective’, Comparative Studies in Society and History 38 4 (1996) 603-604; R.O. Crummey, ‘Russian Absolutism and the Nobility’, Journal of Modern History 49 3 (1977) 456-459. ^ A. Gerschenkron, ‘Soviet Marxism and Absolutism’, Slavic Review 30 4 (1971) 855. ^ Crummey, ‘Russian Absolutism’, 458-459. ^ P.A. Zaionchkovskii, Otmena krepostnogo prava v Rossii (Moscow 1968); P.A. Zaionchkovski, Pravitel'stvennyi apparat samoderzhavnoi Rossii v XIX v. (Moscow 1978); L.G. Zakharova, Aleksandr II i otmena krepostnogo prava v Rossii (Moscow 2011). ^ Crummey, ‘Russian Absolutism’, 466-467. ^ P. Bushkovitch, Peter the Great: The Struggle for Power, 1671-1725 (Cambridge 2004) 4; E.L. Keenan, ‘Muscovite Political Folkways’, Russian Review 45 2 (1986) 115-181. ^ D.L. Ransel, The Politics of Catherinian Russia: The Panin Party (New Haven 1975); Bushkovitch, Peter the Great: The Struggle for Power, 29. ^ Halperin, ‘Muscovy as a Hypertrophic State’, 501-507. ^ Tartar Yoke Archived 2007-09-30 at the Wayback Machine Professor Gerhard Rempel, Western New England College. Marshall T. Poe, "Russian despotism" : the origins and dissemination of an early modern commonplace. Thesis (Ph.D. in history). University of California, Berkeley, 1993. Excerpts from Statesman's Handbook for Russia. By the Chancery of the Committee of Ministers, St. Petersburg. 1896. 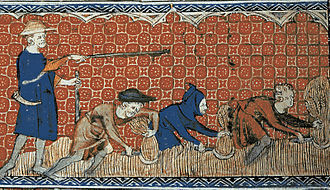 Feudalism was a combination of legal and military customs in medieval Europe that flourished between the 9th and 15th centuries. Broadly defined, it was a way of structuring society around relationships derived from the holding of land in exchange for service or labour, since the publication of Elizabeth A. R. There is no commonly accepted definition of feudalism, at least among scholars. Since the publication of Elizabeth A. R, outside a European context, the concept of feudalism is often used only by analogy, most often in discussions of feudal Japan under the shoguns, and sometimes medieval and Gondarine Ethiopia. 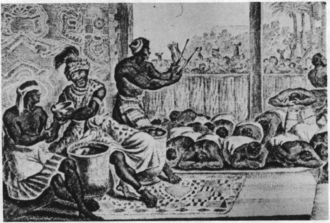 The term feudalism has been applied—often inappropriately or pejoratively—to non-Western societies where institutions, the term féodal was used in 17th-century French legal treatises and translated into English legal treatises as an adjective, such as feodal government. In the 18th century, Adam Smith, seeking to describe systems, effectively coined the forms feudal government. In the 19th century the adjective feudal evolved into a noun, the term feudalism is recent, first appearing in French in 1823, Italian in 1827, English in 1839, and in German in the second half of the 19th century. The term feudal or feodal is derived from the medieval Latin word feodum, the etymology of feodum is complex with multiple theories, some suggesting a Germanic origin and others suggesting an Arabic origin. Initially in medieval Latin European documents, a grant in exchange for service was called a beneficium. Later, the term feudum, or feodum, began to replace beneficium in the documents, the first attested instance of this is from 984, although more primitive forms were seen up to one-hundred years earlier. The origin of the feudum and why it replaced beneficium has not been well established, the most widely held theory is put forth by Marc Bloch. Bloch said it is related to the Frankish term *fehu-ôd, in which means cattle and -ôd means goods. This was known as feos, a term that took on the meaning of paying for something in lieu of money. This meaning was applied to itself, in which land was used to pay for fealty. 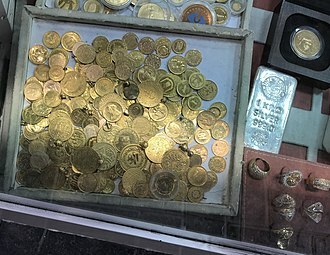 Thus the old word feos meaning movable property changed little by little to feus meaning the exact opposite and this Germanic origin theory was shared by William Stubbs in the 19th century. In the early 21st century, some observers speculated on Pope Franciss position on distributism after his denouncement of unfettered capitalism in his apostolic exhortation Evangelii gaudium. Distributism, advocates a society marked by widespread property ownership, co-operative economist Race Mathews argues that such a system is key to bringing about a just social order. Distributism has often described in opposition to both socialism and capitalism, which distributists see as equally flawed and exploitive. Thomas Storck argues, both socialism and capitalism are products of the European Enlightenment and are thus modernizing and anti-traditional forces, some distributists argue that socialism is the logical conclusion of capitalism as capitalisms concentrated powers eventually capture the state, resulting in a form of socialism. In contrast, distributism seeks to subordinate economic activity to human life as a whole, to our life, our intellectual life. Particularly influential in the development of distributist theory were Catholic authors G.
K, Chesterton and Hilaire Belloc, the Chesterbelloc, two of distributisms earliest and strongest proponents. 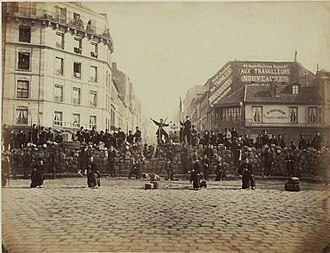 The mid-to-late 19th century witnessed an increase in popularity of political Catholicism across Europe, according to historian Michael A. Riff, a common feature of these movements was opposition not only to secularism, but to both capitalism and socialism. Common and government property ownership was expressly dismissed as a means of helping the poor, around the start of the 20th century, G. K. In the United States in the 1930s, distributism was treated in numerous essays by Chesterton and others in The American Review, pivotal among Bellocs and Chestertons other works regarding distributism are The Servile State, and Outline of Sanity. It influenced the thought behind the Antigonish Movement, which implemented cooperatives and its practical implementation in the form of local cooperatives has recently been documented by Race Mathews in his 1999 book Jobs of Our Own, Building a Stakeholder Society. The position of distributists when compared to other political philosophies is somewhat paradoxical, but there was a rosy time of innocence when I believed in Liberals. While converging with certain elements of traditional Toryism, especially an appreciation of the Middle Ages and organic society, much of Dorothy L. Sayers writings on social and economic matters has affinity with distributism. Under such a system, most people would be able to earn a living without having to rely on the use of the property of others to do so. Examples of people earning a living in this way would be farmers who own their own land and related machinery, plumbers who own their own tools, software developers who own their own computer, etc. The cooperative approach advances beyond this perspective to recognise that such property and equipment may be co-owned by local communities larger than a family, Chesterton in his 1910 book What’s Wrong with the World. Chesterton believes that whilst God has limitless capabilities, man has limited abilities in terms of creation, as such, man therefore is entitled to own property and to treat it as he sees fit. Hegemony is the political, economic, or military predominance or control of one state over others. In ancient Greece, hegemony denoted the politico–military dominance of a city-state over other city-states, the dominant state is known as the hegemon. In the 19th century, hegemony came to denote the Social or cultural predominance or ascendancy, later, it could be used to mean a group or regime which exerts undue influence within a society. In contrast to authoritarian rule, cultural hegemony is hegemonic only if those affected by it consent to and struggle over its common sense. From the post-classical Latin word hegemonia, from 1513 or earlier, or the Greek word ἡγεμονία, meaning authority, political supremacy, the role of Athens within the short-lived Delian League was that of a hegemon. Ancient historians such as Xenophon and Ephorus were the first who used the term in its modern sense. In Ancient East Asia, Chinese hegemony existed during the Spring and Autumn period and they were appointed by feudal lord conferences, and thus were nominally obliged to uphold the imperium of the Zhou Dynasty over the subordinate states. 1st and 2nd century Europe was dominated by the peace of the Pax Romana. It was instituted by the emperor Augustus, and was accompanied by a series of military campaigns. From the 7th century to the 12th century, the Umayyad Caliphate and Abbasid Caliphate dominated the vast territories they governed, with other states like the Byzantine Empire paying tribute. In 7th century India, ruler of an empire in northern India from 606 to 647 AD. 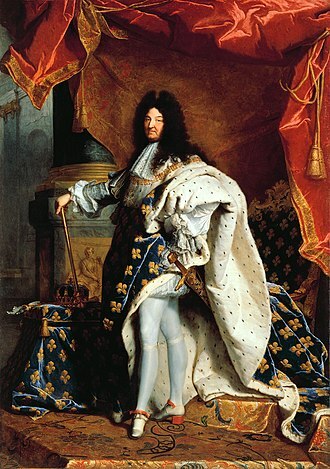 He preferred not to rule as a government, but left conquered kings on their thrones and contenting himself with tribute. From the late 9th to the early 11th century, the empire developed by Charlemagne achieved hegemony in Europe, with dominance over France, Italy and he lists several contenders for historical hegemony. Based on Portugals dominance in navigation, based on Dutch control of credit and money. Based on British textiles and command of the high seas, based on British industrial supremacy and railroads. To this list could be added the hegemony of Habsburg Spain in 16th century Europe, after an attempt by Phillip IV to restore it, by the middle of the 17th century Spains pretensions to hegemony had definitely and irremediably failed. Federalism is the mixed or compound mode of government, combining a general government with regional governments in a single political system. It can thus be defined as a form of government in there is a division of powers between two levels of government of equal status. Leading examples of the federation or federal state include the United States, Mexico, Germany, some today characterize the European Union as the pioneering example of federalism in a multi-state setting, in a concept termed the federal union of states. The terms federalism and confederalism both have a root in the Latin word foedus, meaning treaty, pact or covenant and their common meaning until the late eighteenth century was a simple league or inter-governmental relationship among sovereign states based upon a treaty. It was in this sense that James Madison in Federalist 39 had referred to the new United States as neither a national nor a federal Constitution, this article relates to the modern usage of the word federalism. Modern federalism is a based upon democratic rules and institutions in which the power to govern is shared between national and provincial/state governments. The term federalist describes several political beliefs around the world depending on context, however, in some countries, those skeptical of federal prescriptions believe that increased regional autonomy is likely to lead to secession or dissolution of the nation. 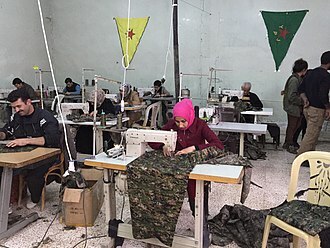 In Syria, federalization proposals have failed in part because Syrians fear that these borders could turn out to be the same as the ones that the parties have currently carved out. Federations such as Yugoslavia or Czechoslovakia collapsed as soon as it was possible to put the model to the test, cultural-historical theories, which hold that federal institutions are more likely to be adopted in societies with culturally or ethnically fragmented populations. Infrastructural power theories, which hold that federalism is likely to emerge when the subunits of a potential federation already have highly developed infrastructures. Republicanism is an ideology of being a citizen in a state as a republic under which the people hold popular sovereignty. Many countries are republics in the sense that they are not monarchies, this article covers only the ideology of republicanism. This form of government collapsed in the part of the 1st century BCE, giving way to what was a monarchy in form. 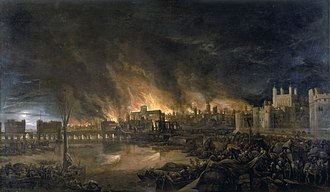 Republics revived subsequently, for example, Renaissance Florence or early modern Britain, the concept of a republic became a powerful force in Britains North American colonies where it led to the American Revolution. 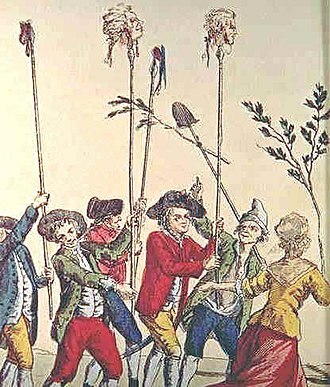 In Europe, it gained influence through the French Revolution. In Ancient Greece, several philosophers and historians analysed and described elements we now recognize as classical republicanism, the Greek concept of politeia was rendered into Latin as res publica. Consequently, political theory until relatively recently often used republic in the sense of regime. There is no single written expression or definition from this era that exactly corresponds with an understanding of the term republic. However, most of the features of the modern definition are present in the works of Plato, Aristotle. These include theories of mixed government and of civic virtue, for example, in The Republic, Plato places great emphasis on the importance of civic virtue together with personal virtue on the part of the ideal rulers. Indeed, in Book V, Plato asserts that until rulers have the nature of philosophers or philosophers become the rulers, there can be no civic peace or happiness. Aristotle considered Carthage to have been a republic as it had a system similar to that of some of the Greek cities, notably Sparta. Some of this history, composed more than 500 years after the events, with scant written sources to rely on, Polybius exerted a great influence on Cicero as he wrote his politico-philosophical works in the 1st century BCE. In one of works, De re publica, Cicero linked the Roman concept of res publica to the Greek politeia. However, the term republic, despite its derivation, is not synonymous with the Roman res publica. Theocracy is a form of government in which a deity is the source from which all authority derives. The Oxford English Dictionary has this definition,1, a system of government in which priests rule in the name of God or a god. The commonwealth of Israel from the time of Moses until the election of Saul as King, an ecclesiocracy is a situation where the religious leaders assume a leading role in the state, but do not claim that they are instruments of divine revelation. For example, the prince-bishops of the European Middle Ages, where the bishop was the temporal ruler, religiously endorsed monarchies fall between theocracy and ecclesiocracy, according to the relative strengths of the religious and political organs. Most forms of theocracy are oligarchic in nature, involving rule of the many by the few, some of whom so anointed under claim of divine commission. In some religions, the ruler, usually a king, was regarded as the favorite of God who could not be questioned, sometimes even being the descendant of. Today, there is a form of government where clerics have the power, taken literally or strictly, theocracy means rule by God or gods and refers primarily to an internal rule of the heart, especially in its biblical application. The common, generic use of the term, as defined above in terms of rule by a church or analogous religious leadership, in a pure theocracy, the civil leader is believed to have a personal connection with the civilizations religion or belief. For example, Moses led the Israelites, and Muhammad led the early Muslims, there is a fine line between the tendency of appointing religious characters to run the state and having a religious-based government. According to the Holy Books, Prophet Joseph was offered an essential governmental role just because he was trustworthy and knowledgeable. As a result of the Prophet Josephs knowledge and due to his ethical and genuine efforts during a critical economic situation, when religions have a holy book, it is used as a direct message from God. Law proclaimed by the ruler is considered a divine revelation, as to the Prophet Muhammad ruling, The first thirteen of the Prophets twenty-three year career went on totally apolitical and non-violent. Yet, the Prophet did not establish a theocracy in Medina, instead of a polity defined solely by Islam, he founded a territorial polity based on religious pluralism. This is evident in a document called the ’Charter of Medina’, according to the Quran, Prophets were not after power or material resources. ”While, in theocracy many aspects of the holy book are overshadowed by material powers. Due to be considered divine, the regime entitles itself to interpret verses to its own benefit and abuse them out of the context for its political aims. An ecclesiocracy, on the hand, is a situation where the religious leaders assume a leading role in the state. For example, the prince-bishops of the European Middle Ages, where the bishop was the temporal ruler, religiously endorsed monarchies fall between these two poles, according to the relative strengths of the religious and political organs. Despotism is a form of government in which a single entity rules with absolute power. That entity may be an individual, as in an autocracy, or it may be a group, the English dictionary defines despotism as the rule of a despot, the exercise of absolute authority. The root despot comes from the Greek word despotes, which means master or one with power, the term has been used to describe many rulers and governments throughout history. Due to its reflexive connotation throughout history, the word despot cannot be objectively defined, the word despot applies pejoratively to those who abuse their power and authority to oppress their populace, subjects, or subordinates. More specifically, the term applies to a head of state or government. In this sense, it is similar to the connotations that are associated with the terms tyrant. Of all the ancient Greeks, Aristotle was perhaps the most influential promoter of the concept of oriental despotism. He passed this ideology to his student, Alexander the Great, who conquered Persia, which at the time was ruled by the despotic Darius III, Aristotle asserted that oriental despotism was not based on force, but on consent. Hence, fear could not be said to be its motivating force, but rather the nature of those enslaved. Within ancient Greek society, every Greek man was free and capable of holding office, in contrast, among the barbarians, all were slaves by nature. Another difference Aristotle espoused was based on climates, possessing both spirit and intelligence, the Greeks were free to govern all other peoples. 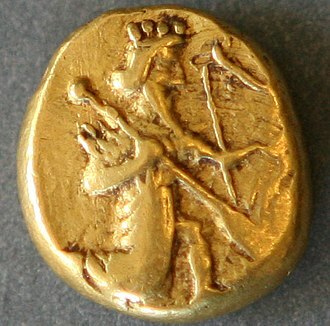 The story of Croesus of Lydia exemplifies this, leading up to Alexanders expansion into Asia, most Greeks were repelled by the Oriental notion of a sun-king, and the divine law that Oriental societies accepted. Herodotuss version of history advocated a society where men became free when they consented lawfully to the contract of their respective city-state. His eyebrows were tinged with black, and his cheeks painted with an artificial red, in its classical form, despotism is a state in which a single individual holds all the power and authority embodying the state, and everyone else is a subsidiary person. Anarchism is a political philosophy that advocates self-governed societies based on voluntary institutions. These are often described as stateless societies, although several authors have defined them more specifically as institutions based on non-hierarchical free associations, Anarchism holds the state to be undesirable and harmful. While anti-statism is central, anarchism entails opposing authority or hierarchical organisation in the conduct of all relations, but not limited to. Anarchism does not offer a fixed body of doctrine from a particular world view. Many types and traditions of anarchism exist, not all of which are mutually exclusive, Anarchist schools of thought can differ fundamentally, supporting anything from extreme individualism to complete collectivism. Strains of anarchism have often divided into the categories of social. The term anarchism is a word composed from the word anarchy and the suffix -ism, themselves derived respectively from the Greek ἀναρχία, i. e. anarchy. The first known use of this word was in 1539, various factions within the French Revolution labelled opponents as anarchists although few shared many views of anarchists. 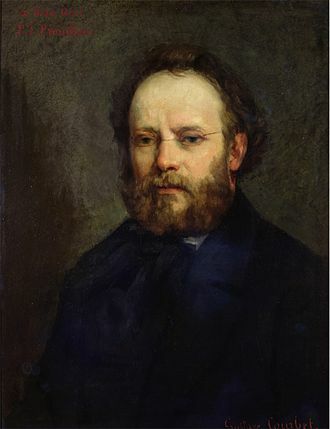 The first political philosopher to call himself an anarchist was Pierre-Joseph Proudhon, on the other hand, some use libertarianism to refer to individualistic free-market philosophy only, referring to free-market anarchism as libertarian anarchism. The earliest anarchist themes can be found in the 6th century BC, among the works of Taoist philosopher Laozi, zhuangzis philosophy has been described by various sources as anarchist. Zhuangzi wrote, A petty thief is put in jail, a great brigand becomes a ruler of a Nation. 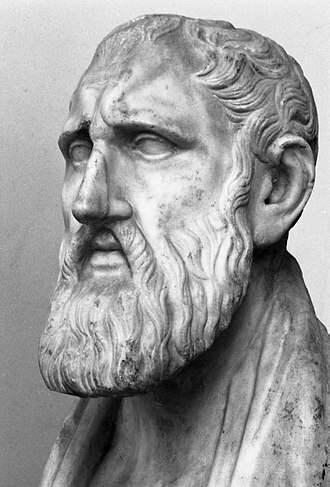 Diogenes of Sinope and the Cynics, their contemporary Zeno of Citium, Jesus is sometimes considered the first anarchist in the Christian anarchist tradition. Georges Lechartier wrote that The true founder of anarchy was Jesus Christ, the first anarchist society was that of the apostles. This is exemplified when the glorification of the state is viewed as a form of sinful idolatry, the French renaissance political philosopher Étienne de La Boétie wrote in his most famous work the Discourse on Voluntary Servitude what some historians consider an important anarchist precedent. 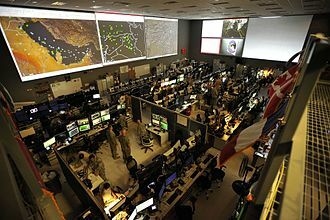 Administrative divisions are granted a certain degree of autonomy and are usually required to manage themselves through their own local governments. 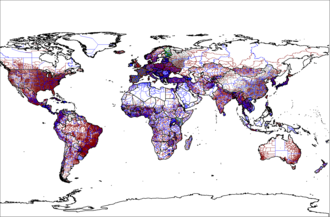 Countries are divided up into smaller units to make managing their land. For example, a country may be divided into provinces, which, in turn, are divided into counties, which, in turn, may be divided in whole or in part into municipalities, and so on. Administrative divisions are separate from dependent territories, with the former being an integral part of the state. However, the administrative division can include dependent territories as well as accepted administrative divisions. For clarity and convenience the standard reference for the largest administrative subdivision of a country is called the first-level administrative division or first administrative level. Next smaller is called second-level administrative division or second administrative level, there is no fixed rule, for all politics is local as is perhaps well demonstrated by their relative lack of systemic order. Typically this system involves the embezzlement of state funds at the expense of the wider population, sometimes without even the pretense of honest service. This lack of oversight can be caused or exacerbated by the ability of the officials to control both the supply of public funds and the means of disbursal for those funds. Kleptocratic rulers often treat their countrys treasury as a source of wealth, spending funds on luxury goods. Many kleptocratic rulers secretly transfer public funds into hidden personal numbered bank accounts in foreign countries to provide for themselves if removed from power, Kleptocracy is most common in developing countries whose economies are based on the export of natural resources. Such export incomes constitute a form of rent and are easier to siphon off without causing the income to decrease. Such states are either in continuous warfare with their neighbours or they simply milk their subjects as long as they have any taxable assets, such rapine-based economies were commonplace in the past before the rise of Capitalism. Arnold Toynbee has claimed the Roman Empire was basically a Raubwirtschaft, the effects of a kleptocratic regime or government on a nation are typically adverse in regards to the welfare of the states economy, political affairs and civil rights. Kleptocratic governance typically ruins prospects of foreign investment and drastically weakens the domestic market, the informal oligarchy that results from a kleptocratic elite subverts democracy. According to the Oxford English Dictionary, the first use in English occurs in the publication Indicator of 1819, “Titular ornaments, common to Spanish kleptocracy. ”In early 2004, a list of Russian and Ukrainian politicians associated with kleptocractic style has been published by the Kleptocracy Archives project. Sources have alleged that former Egyptian President Hosni Mubarak stole up to $70 billion, nursultan Nazarbayev is a head of the Kazakhstan ruling clan with $7 billion assets. The partially recognized state of Kosovo is run by a regime, mainly formed of members from one of the countrys largest political parties. More recently, EULEX reported on a case where illegal payments of 1. Chinas former prime minister, Wen Jiabao, left office in 2013 with his close relatives controlling assets worth at least $2.7 billion and these revelations were censored in print and censored online in China. The term kleptocracy was used to refer to the Russian economy soon after the Soviet collapse in 1991, the democrats, led by Yegor Gaidar and Anatoly Chubais, freed prices in 1992 and unleashed hyperinflation before they privatized Russias assets. Most Russian citizens lost their savings in only a few weeks, instead of investing in the Russian economy, they stashed billions of dollars in Swiss bank accounts. Experts estimate that as much as $15 billion left Russia each year as either capital flight or laundered money from illegal transactions, referring to Russia, Daniel Kimmage used the terms, kerdocracy or khrematisamenocracy. South Sudan obtained independence in July 2011 as a kleptocracy – a militarized, the efforts of national technocrats and foreign donors produced bubbles of institutional integrity but the system as a whole was entirely resistant to reform. Devolution is the statutory delegation of powers from the central government of a sovereign state to govern at a subnational level, such as a regional or local level. It is a form of administrative decentralization, devolved territories have the power to make legislation relevant to the area. Devolution differs from federalism in that the powers of the subnational authority may be temporary and are reversible. Thus, the state de jure unitary. Legislation creating devolved parliaments or assemblies can be repealed or amended by central government in the way as any statute. In federal systems, by contrast, sub-unit government is guaranteed in the constitution, the sub-units therefore have a lower degree of protection under devolution than under federalism. It has six states and two territories with power than states. The Northern Territory of Australia refused statehood in a 1998 referendum, the rejection was a surprise to both the Australian and Northern Territory governments. Territory legislation can be disallowed by the Commonwealth Parliament in Canberra, although Canada is a federal state, a large portion of its land mass in the north is under the legislative jurisdiction of the federal government. This has been the case since 1870, since the 1970s, the federal government has been transferring its decision-making powers to northern governments. This means greater local control and accountability by northerners for decisions central to the future of the territories, Yukon was carved from the Northwest Territories in 1898 but it remained a federal territory. Subsequently, in 1905, the provinces of Alberta and Saskatchewan were created from the Northwest Territories, other portions of Ruperts Land were added to the provinces of Ontario and Quebec, extending the provinces northward from their previous narrow band around the St. Lawrence and lower Great Lakes. The District of Ungava was an administrative district of Canadas Northwest Territories from 1895 to 1912. The continental areas of district were transferred by the Parliament of Canada with the adoption of the Quebec Boundary Extension Act,1898. The status of the interior of Labrador which was believed part of Ungava was settled in 1927 by the British Judicial Committee of the Privy Council, which ruled in favour of Newfoundland. 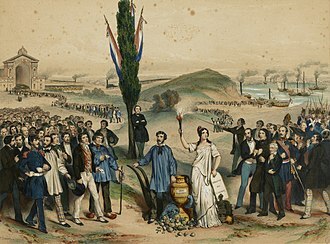 Dominions were semi-independent polities under the British Crown, constituting the British Empire, beginning with Canadian Confederation in 1867. They included Canada, New Zealand, South Africa, and the Irish Free State, and from the late 1940s India and Ceylon. The Balfour Declaration of 1926 recognised the Dominions as autonomous Communities within the British Empire, earlier usage of dominion to refer to a particular territory dates to the 16th century and was used to describe Wales from 1535 to 1801 and New England between 1686 and 1689. At the outset, a distinction must be made between a British dominion and British Dominions, all territories forming part of the British Empire were British dominions but only some were British Dominions. At the time of the adoption of the Statute of Westminster, there were six British Dominions, Australia, New Zealand, South Africa, Newfoundland, at the same time there were many other jurisdictions that were British dominions, for example Cyprus. The Order in Council annexing the island of Cyprus in 1914 declared that, from 5 November, Dominion, as an official title, was conferred on the Colony of Virginia about 1660 and on the Dominion of New England in 1686. These dominions never had full self-governing status, the creation of the short-lived Dominion of New England was designed—contrary to the purpose of dominions—to increase royal control and to reduce the colonys self-government. Under the British North America Act 1867, what is now eastern Canada received the status of Dominion upon the Confederation of several British possessions in North America. However, it was at the Colonial Conference of 1907 when the colonies of Canada. Two other self-governing colonies—New Zealand and Newfoundland—were granted the status of Dominion in the same year and these were followed by the Union of South Africa in 1910 and the Irish Free State in 1922. The Statute of Westminster 1931 converted this status into legal reality, following the Second World War, the decline of British colonialism led to Dominions generally being referred to as Commonwealth realms and the use of the word dominion gradually diminished. Nonetheless, though disused, it remains Canadas legal title and the phrase Her Majestys Dominions is still used occasionally in legal documents in the United Kingdom. The phrase His/Her Majestys dominions is a legal and constitutional phrase that refers to all the realms and territories of the Sovereign, for example, the British Ireland Act,1949, recognised that the Republic of Ireland had ceased to be part of His Majestys dominions. The sense of Dominion was capitalised to distinguish it from the general sense of dominion. 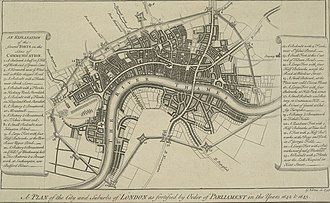 The word dominions originally referred to the possessions of the Kingdom of England, oliver Cromwells full title in the 1650s was Lord Protector of the Commonwealth of England and Ireland, and the dominions thereto belonging. In 1660, King Charles II gave the Colony of Virginia the title of dominion in gratitude for Virginias loyalty to the Crown during the English Civil War, the Commonwealth of Virginia, a State of the United States, still has the Old Dominion as one of its nicknames. 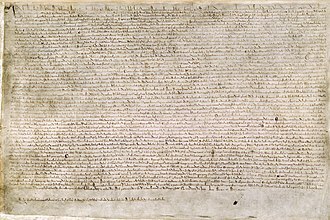 Dominion occurred in the name of the short-lived Dominion of New England, in all of these cases, the word dominion implied no more than being subject to the English Crown. Mural for Catalan independence in Belfast. Silesians demonstrating in Katowice (in Silesia). Pro-Russian separatists in Donetsk, eastern Ukraine. A person casts vote in the second round of the 2007 French presidential election. The establishment of universal male suffrage in France in 1848 was an important milestone in the history of democracy. Statue of Athena, the patron goddess of Athens, in front of the Austrian Parliament Building. Athena has been used as an international symbol of freedom and democracy since at least the late eighteenth century. 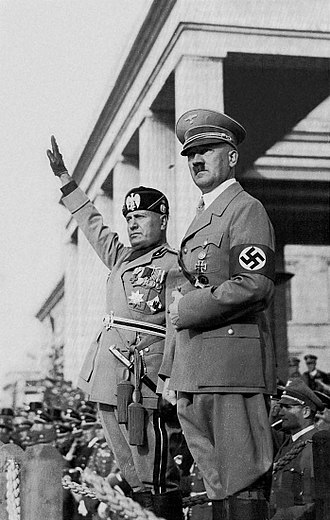 From left to right: Benito Mussolini and Adolf Hitler. Hitler's policies and orders both directly and indirectly resulted in the deaths of about 50 million people in Europe. Together with the Soviet regime of Joseph Stalin, they have marked the inception of the "totalitarian regimes". The earliest known written documentation for the Chinese abacus, the Suan Pan, dates to the 2nd century BC (its original design is unknown). The Parliamentary Recruiting Committee produced this First World War poster. Designed by Arthur Wardle, the poster urges men from the Dominions of the British Empire to enlist in the war effort. 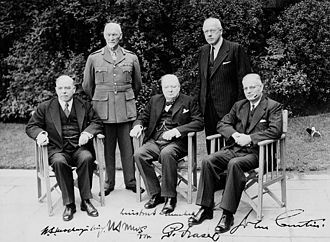 The prime ministers of Britain and the four major Dominions at the 1944 Commonwealth Prime Ministers' Conference. Left to right: William Lyon Mackenzie King (Canada); Jan Smuts (South Africa); Winston Churchill (UK); Peter Fraser (New Zealand); John Curtin (Australia). William Cobbett's social views influenced Chesterton. Self-portrait of G. K. Chesterton based on the distributist slogan "Three acres and a cow". Distributism is more than a compromise between socialism and capitalism. A Landsgemeinde, or assembly, of the canton of Glarus, on 7 May 2006, Switzerland. 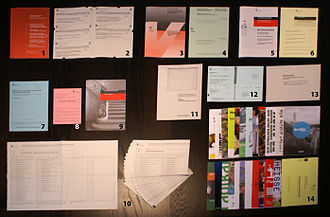 In Switzerland, with no need to register, every citizen receives the ballot papers and information brochure for each vote, and can return it by post. Switzerland has various directly democratic instruments; votes are organised about four times a year. A revolutionary republican hand-written bill from the Stockholm riots during the Revolutions of 1848, reading: "Dethrone Oscar he is not fit to be a king – rather the Republic! Reform! Down with the Royal house – long live Aftonbladet! Death to the king – Republic! Republic! – the people! Brunkeberg this evening." The writer's identity is unknown. Fort Hall Indian Casino, Idaho. Gambling is allowed within Native American reservation lands while illegal on non-reservation land geographically in the same state.